Can Acupuncture Ease Cancer Symptoms? One of the oldest healing practices in the world, acupuncture is beginning to have a role in alleviating pain and discomfort associated with cancer and its treatments. Acupuncturists use fine needles to penetrate the skin and stimulate – manually or electrically – specific points on the body. Stimulation at these points, according to traditional Chinese medicine, corrects imbalance in the flow of qi – a type of energy that flows through channels known as meridians. Dana-Farber staff acupuncturist Weidong Lu, MB, MPH, PhD, of the Leonard P. Zakim Center for Integrative Therapies, has been using the technique with cancer patients and survivors for a dozen years in the Zakim Center. 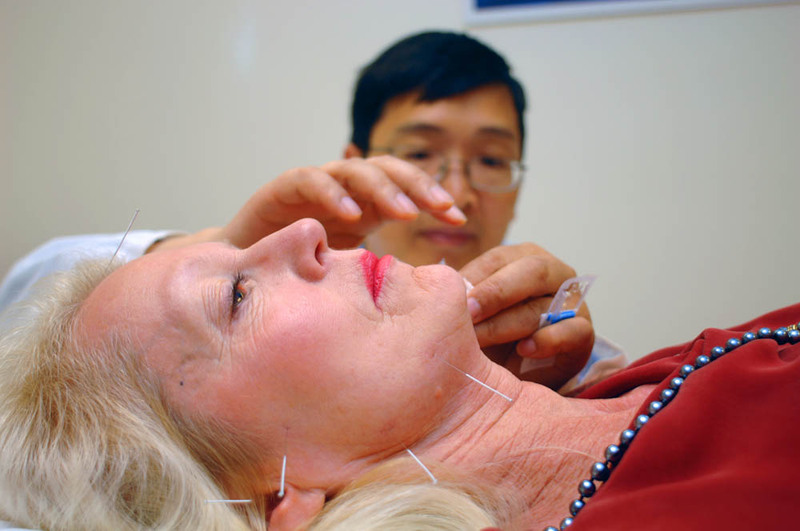 He and David S. Rosenthal, MD, the medical director of the Zakim Center, recently reviewed the research on the effectiveness of acupuncture in cancer care, and published their findings in Current Pain and Headache Reports. To help relieve chronic pain from neck surgery and radiation for cancer. Acupuncture is not an instant cure; however, it is an effective way to heal. I tell my acupuncture patients that they need to be committed to the process. Thanks for bringing a new awareness to an ancient way of healing. Of course acupuncture is one of the best ways to get rid of any kind of body pain and ease cancer symptoms. I also get this therapy to reduce neck pain.